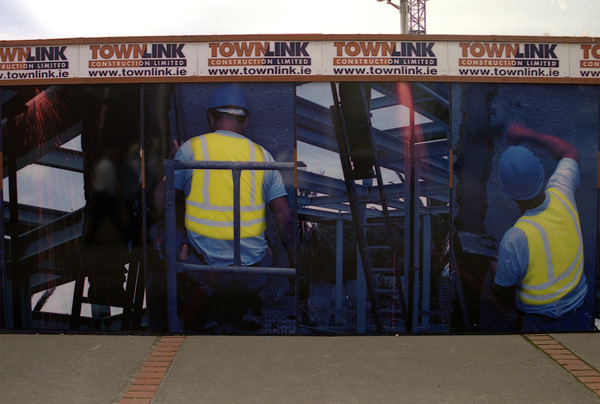 Installation on hoarding at the site of the new County Arts Centre commissioned by South Dublin County Council as part of Fused’07. 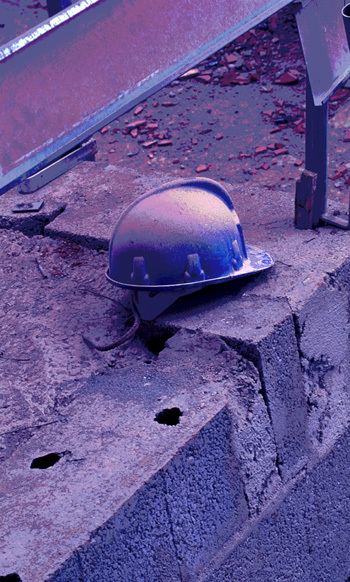 Under Construction is a series of 12 photographic images, 122cm X 203cm, of workers on a building site. 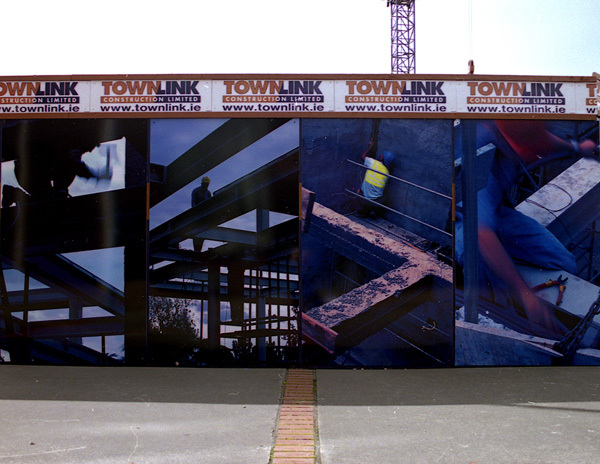 The series is attached to the hoarding and reflects the nature of the construction activity so visibly taking place in Tallaght and specifically the building of the new Arts Centre. 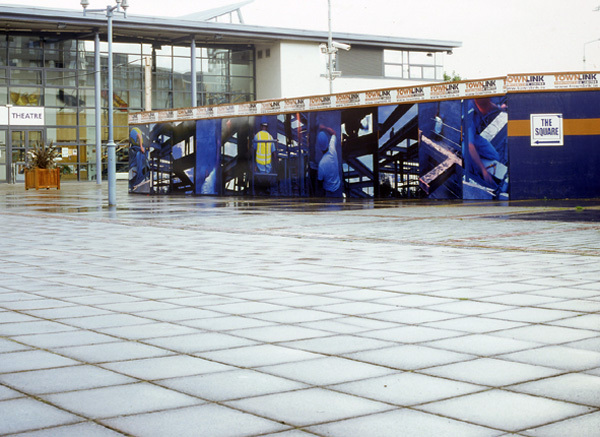 The imagery draws attention to the nature of the site and the emerging building growing within. 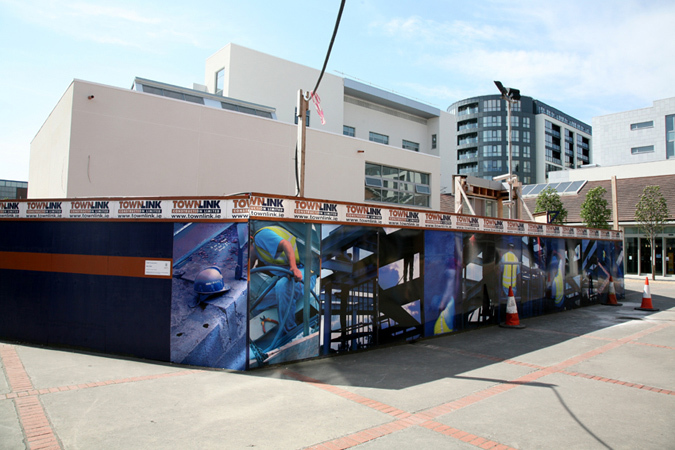 A single photographic image, Hard Hat, 122 x 203cm, is placed on the hoarding facing the theatre.